While becoming a wildlife photographer, people are very well aware of the risk and strong determination this career field demands on a daily basis. However, their will to get the perfect shot and their love for wildlife and nature is always greater than any risk that may be involved. 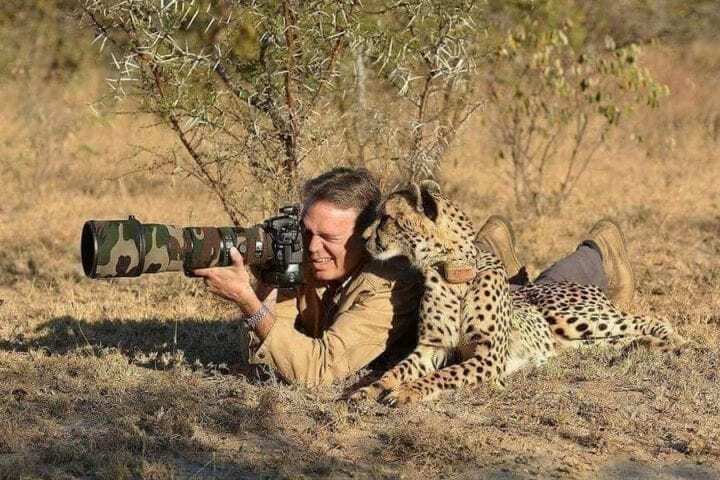 While waiting for days for one right shot is the most common of all the practices, several photographers clicked the best shots of their lives as if everything was working in their favor, even the wild animals. 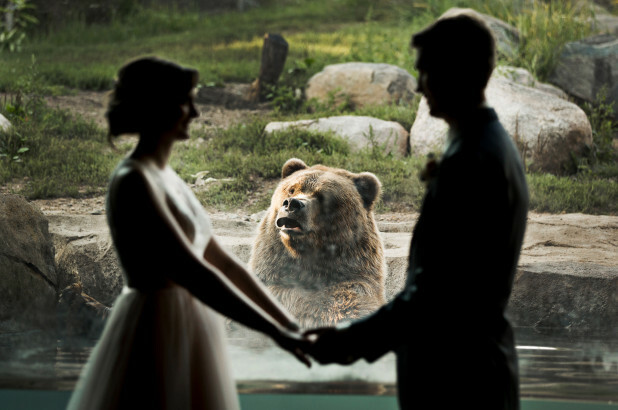 We’ve brought 3o best pictures of all time that shows an entirely different aspect of wild animals. Photographer Art Wolfe was on a project at the South Georgia island located nearby the South Atlantic Ocean in between Antarctica and the tip of South America. Art and his crew members were focused on capturing the beautiful wildlife of the area from the rocky beach, not too far from the chilling water. Art was trying to bring a group of southern elephant seals into his frame when suddenly a seal hopped on to him. 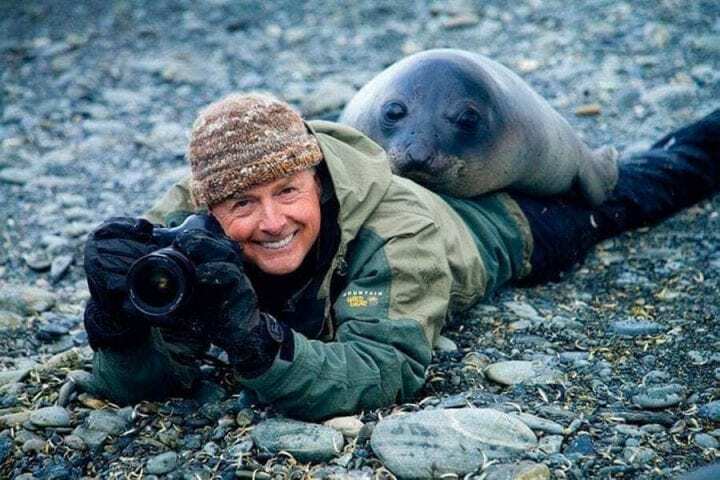 While Art was under this seal, one of his crew members went into the water to click this perfect picture. By the way, male southern elephant seals are the biggest of all the seals’ species. And they can weigh almost 8,800 pounds. Lucky Arts, right? 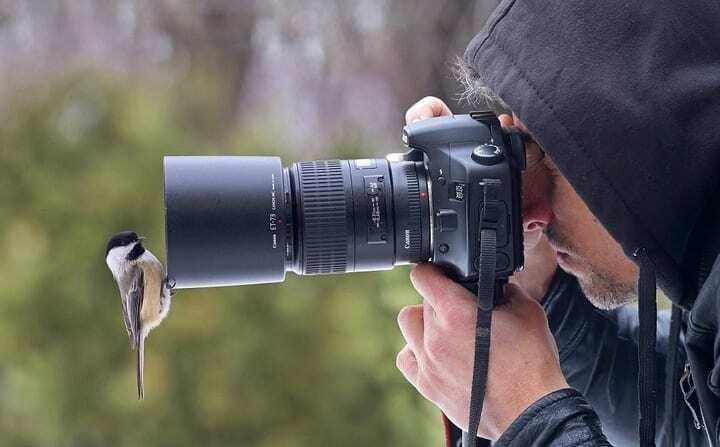 Photographer Alexander Sviridov spent hours but didn’t get even a single bird near his camera. But somehow he needed their attention and for that, he got a tremendous idea. Alexander put some bird seeds near his camera lens. Soon a little wild Black-capped Chickadee, a resident of the southern Canada and the northern United States. Alexander kept a second camera with remote control focused on himself which clicked this picture. This funny picture was clicked in Romanian Carpathian mountains by NatGeo photographer Onofras Ionel. 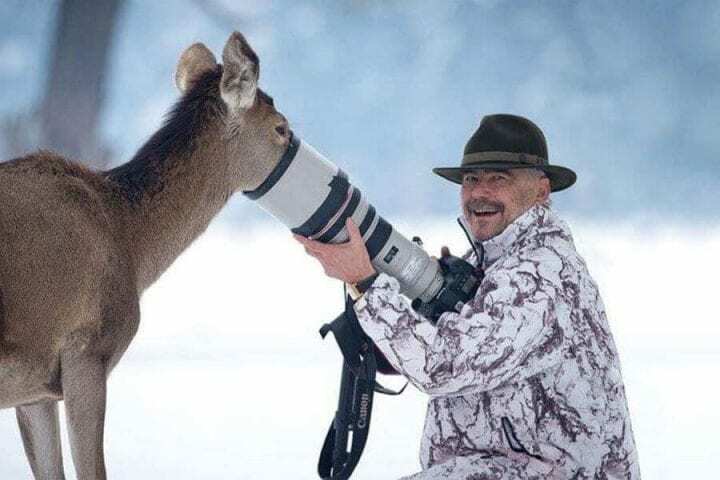 Onofras didn’t put food on his lens but this deer might be hungry or just curious to look inside the camera. As we know she didn’t find anything on the lens. Most probably she licked the lens as after she left, the lens had frozen saliva on it. 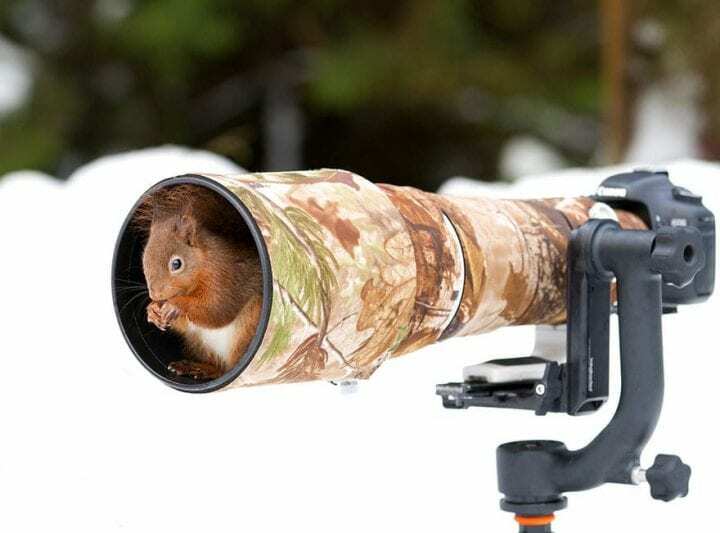 In Yorkshire Dales National Park, northern England Dalia Kvedaraite and Giedrius Stakauskas were on an assignment to click pictures of red squirrels. When one of their cameras stopped working in the cold weather, the photographers kept a few peanuts inside the lens hood. Although this might have cost the photographers quite an expensive camera they went ahead with the idea anyway. They were right as a red squirrel hopped on the camera within the next couple of minutes. And luckily the squirrel did nothing to the lens. Photographer Leopold Kanzler took almost 2 days to click this picture. “I’m not sure who had more fun, me or the beaver, but it seemed more than happy with receiving so many tasty treats,” said Leopold. To tempt the beavers and bring them closer to the camera, he hid a few apple slices inside it. 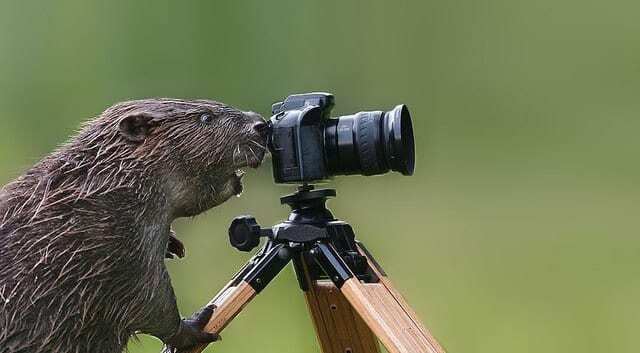 For he has done similar shoots with beavers before also, Leopold finally got what he was looking for.